You're going to love this free printable visiting Santa social story for kids with autism that explains going to see Santa at Christmas time. Visiting Santa at the mall can be exciting, but it can also be extremely difficult for kids with autism or sensory issues. 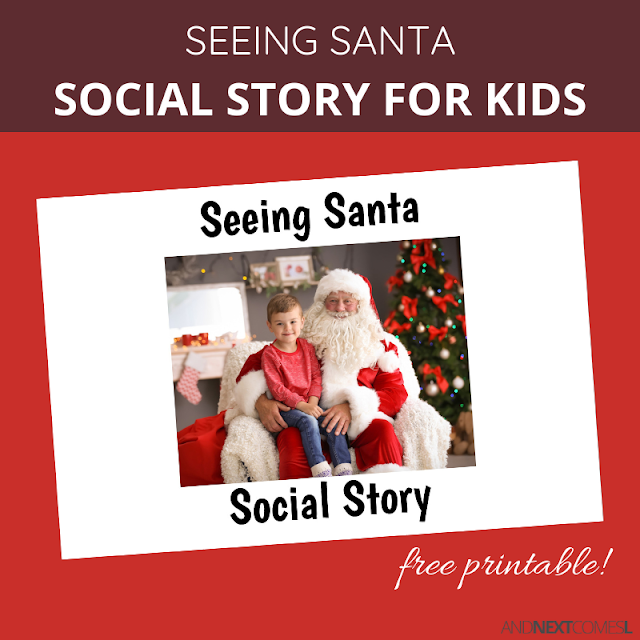 This free printable social story about seeing Santa will help teach your kids about what to expect when it comes to visiting Santa Claus at the mall. I hope you find this social story helpful for your child! This social story explains what happens when you go to see Santa at the mall or store. It describes waiting in line, smiling for the camera, how to answer Santa when he asks your child what they want for Christmas, and more. This printable is 11 pages long and includes full color photos.